Often, the songs we first sang when we came to put our trust in God or when we were young, leave a strong emotional imprint on us. It is no wonder then that sometimes we long for old songs, and we marvel at the way they can still move us today. Likewise, our fire and love for God is often strongest right at the beginning. But if we forget to tend the flames of our ‘First Love’ then our heart can grow cold even though outwardly we might be doing all the right things. God calls us to return to our ‘First Love’, to reignite the fires of zeal and ardour, and to return to a place of intimacy. 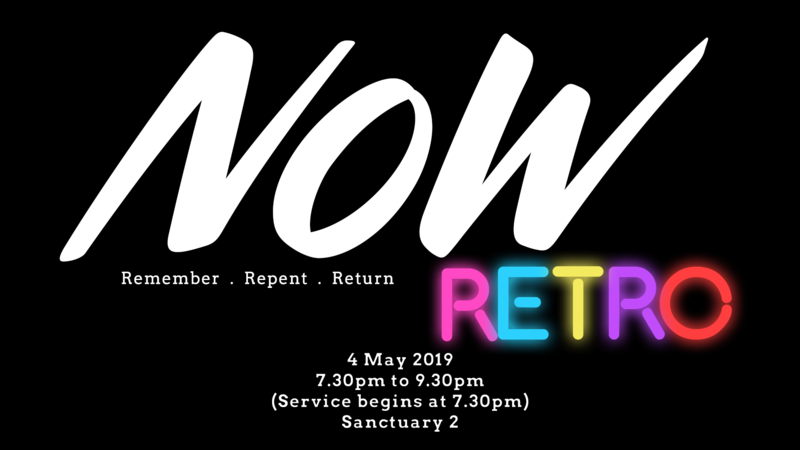 Join us on 4 May as we sing the praise and worship songs of yesteryears. We will be going back to old favourites like We Bring The Sacrifice of Praise, All Hail King Jesus and Draw Me Close To You. Let us come together, remember and return to our First Love.